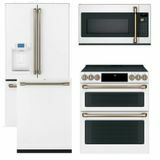 We are pleased to present the GE Cafe Series of Appliances with Restaurant Inspired Appearance and Features for People who Love to Cook and Entertain. Meals can be made into masterpieces with the help of GE Cafe's most advanced cooking technology. From GE Cafe ranges and cooktops that precisely simmer, saute and sear, to innovative speedcook ovens that can evenly cook delicious meals nearly four times faster than conventional ovens, your inner chef has all the inspiration needed to kick things up a notch. 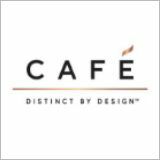 With Cafe Appliances you can accessorize your kitchen as your style evolves with designer curated hardware. 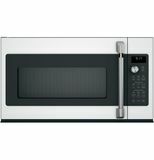 Find, shop for and buy Cafe Appliances at US Appliance for the lowest prices at US Appliance and take advantage of Free Shipping.